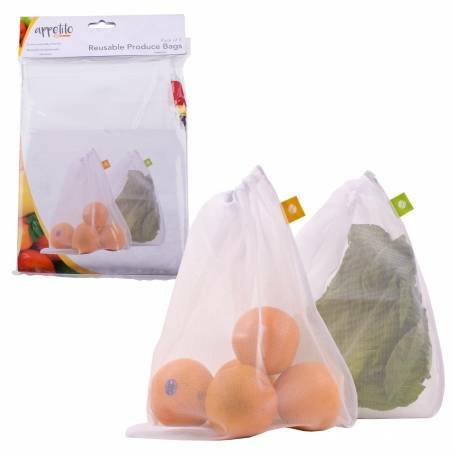 Mesh Produce Bags help eliminate the need for plastic bags and are great for both produce shopping and storage. The mesh fabric allows for easy identification of contents and provides excellent air circulation. You can hang full bags on hooks by the drawstring for extra pantry space. Mesh bags work well for refrigerator storage of thick skinned produce like apples, oranges and cucumbers.